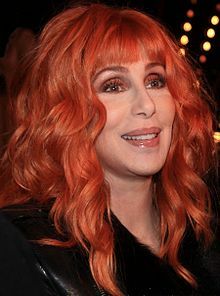 Cher (born Cherilyn Sarkisian on May 20, 1946) is an American recording artist, actress, director, and record producer. You don't have to be smart to act — look at the outgoing president of the United States. Try to be in as many relationships as you can. I love having boyfriends. A girl can wait for the right man to come along – but in the meantime that doesn’t mean she can’t have a wonderful time with all the wrong ones. "Cher Genius", an interview in You magazine, the Mail on Sunday (UK) newspaper (28 November 2010), interviewed by Elaine Lipworth in Las Vegas. This page was last edited on 13 August 2018, at 18:26.